I recently applied for a first grade position in a neighboring district. The employment in that district is highly competitive. I fortunately landed an interview at a school there and knew I needed something to take with me to showcase my talents and passion for teaching. I had read that teaching portfolios had helped many others in this situation. 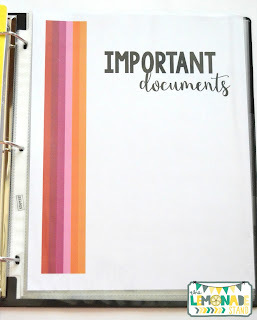 I have always kept a portfolio each year to meet our state's professionalism rubric, but I needed something a little more tailored to the needs of an interview. I decided to create my own that highlighted some important areas of teaching and that would serve as evidence to questions asked during the interview. Since I was going after a primary grade teaching position, I wanted the colors to be bright and colorful. I think it's also important to put your contact information on the cover, as well as your picture. They might want to keep your portfolio to look over while making their decision. Your picture will help remind them of you and your interview. I also wanted to take them on a tour of my classroom. They should be able to envision me in their building. Since I am a blogger, I have lots of photos of my classroom. 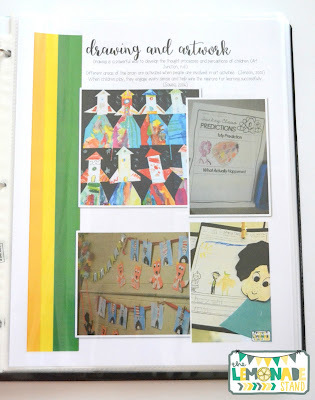 I included a blog post after this page in the portfolio that took them through my learning space. 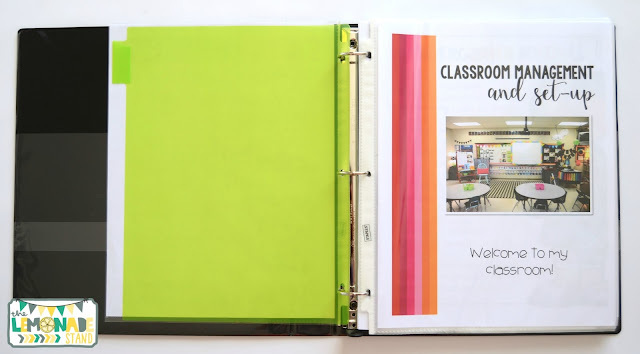 You could even add a layout of your classroom from a website that allows you to create those. That would show them that you value classroom layout and like to plan ahead. 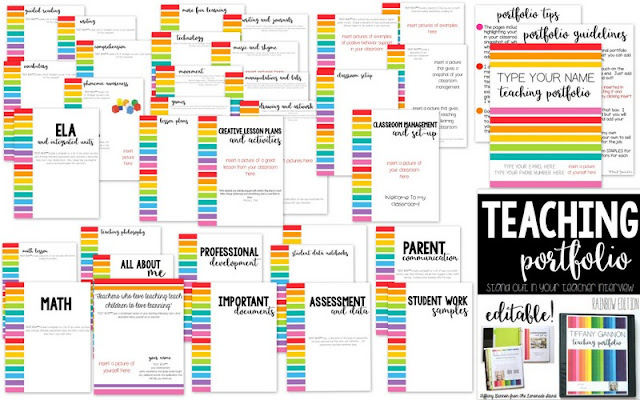 Classroom management is an area they will definitely want to know about. What is your system? 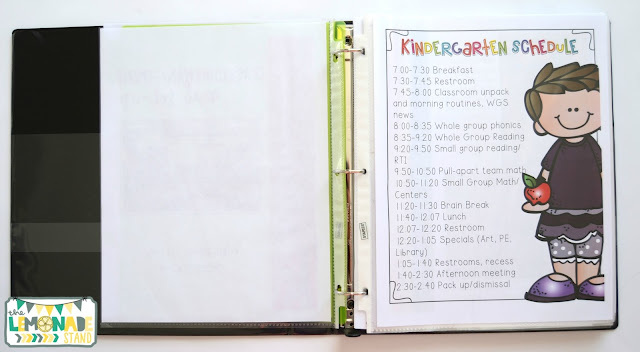 How do you ensure a smoothly run classroom? 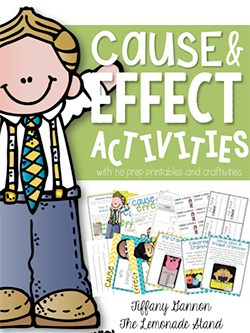 How do promote positive behavior and desired expectations in your classroom? I included information along with photos of these areas. Not only did I incorporate my latest strategies, I also added strategies of the past that I had tried with my students. Lesson plans should also be included. 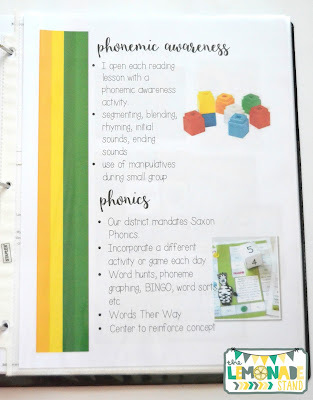 I have taught kindergarten and second grade, so I included examples of both. 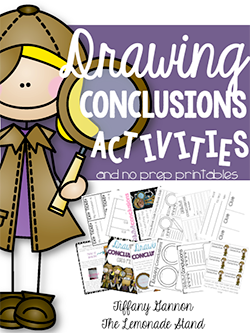 If you do visual plans, definitely incorporate those! They are attention grabbers and look great in your portfolio. 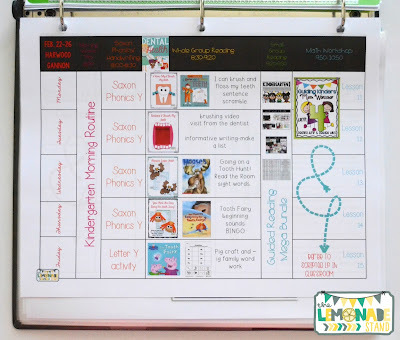 I included a copy of my current classroom schedule. 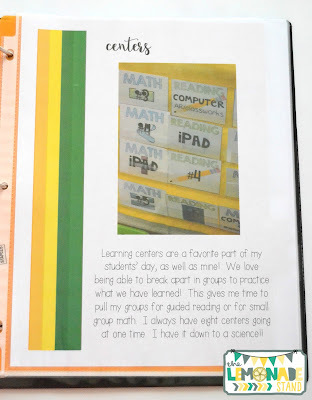 I wanted them to see that consistency and routine were vital to my learning environment. 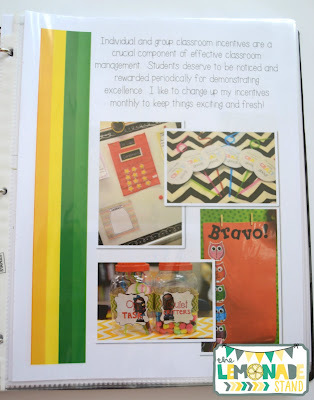 One section in my notebook was all about lesson plans and creative activities I had incorporated in my classroom. I divided that section up into some effective best practices. 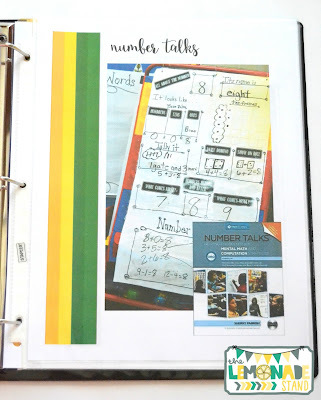 In each section, I included the strategy, brain research to support the practice, and photos of them being incorporated into my classroom. 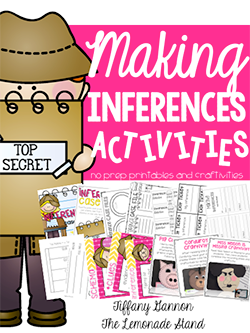 I also included some units I had created along with photos of students engaged in activities from those units. Another section in the portfolio highlighted assessment and data. Education is so data-driven these days that I knew I had to incorporate this. 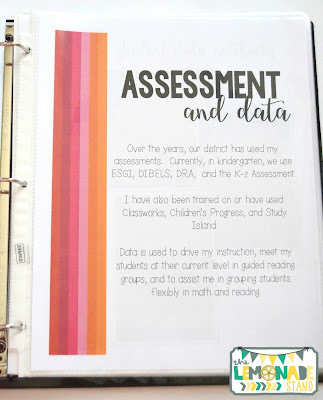 I listed all of the assessments I had experience with, included data from assessments I had administered (do not include student names), and showed how I used the data to drive my instruction. You may be asked about parent communication in your interview. 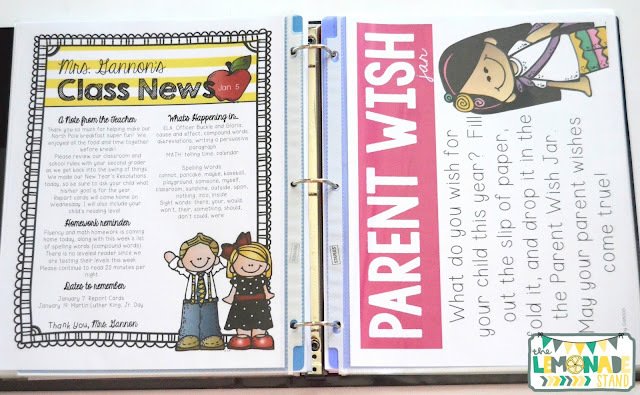 In this section, I included newsletters and various other ways I communicated with parents and got them involved in their child's education. I also took the time to break down what my reading and math blocks looked like. I made sure to mention the five components of reading, curriculum I had experience using, and student work samples. I made sure to highlight how each of these areas drove student success. Finally, I had sections for professional development and important documents. 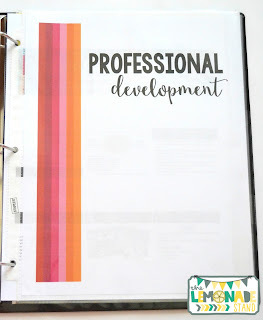 You should include any professional development you have attended, as well as any you have led. Be sure to also include documents such as a copy of your teacher license, praxis scores, and a college transcript. 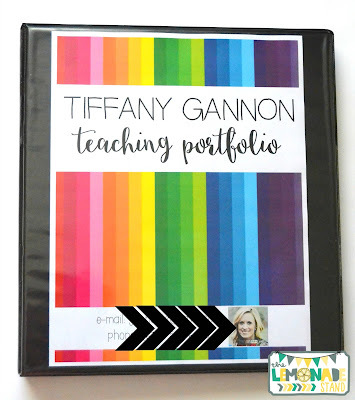 There are many more components to my portfolio that you will have access to if you purchase this Editable Teacher Portfolio. I am confident it really helped me receive the first grade position. It provided easy evidence for me to refer to during the interview. The file is a PowerPoint, but you could also save it as a PDF when completed to send digitally to principals. 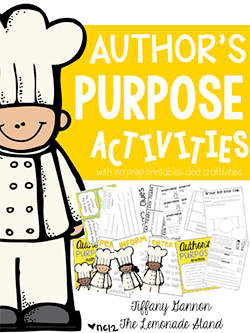 Since it is editable, you can add or take away any pieces to fit your needs. It will definitely make you stand out in your teacher interview! I hope this portfolio is beneficial to you and lands you that perfect job! Happy teaching and best wishes! How close are the other editions to coming out? I love this one, but I'm all about floral! The Master's degree programs offered by the college incorporate English dialect and picking up, learning and innovation SmartPaperHelp video review administration and advancement, arithmetic, science, and estimation and assessment. he underlying advance for dealing with the execution here an article of teachers is assessment. Hi, I downloaded your editable portfolio, but it's not letting me do any editing. All the words are on top of each other and it won't let me do anything. I'm sure I'm just missing something simple. Can you give me some guidance? Thank you. HI! 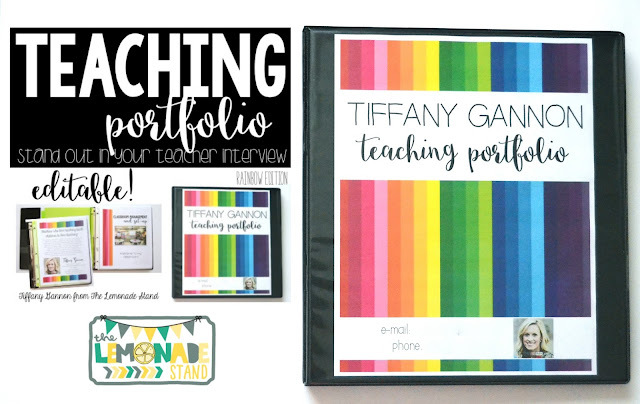 Do you have any portfolios that are for new teachers? I am working on my certification at this time but since it's an online program I am not doing any student teaching. Thanks so much! Did you happen to find any for new teachers? I am in the same boat. By utilizing pre-famous school mark,MURANG'A UNIVERSITY OF TECHNOLOGY most loved school, peer school etcetera cost of education progressively chokes destitute individuals. Our education progressively crushes minor tribe. Thank you so much as you have been willing to share information with us. rank international schoolWe will forever admire all you have done here because you have made my work as easy as ABC.